Congratulations, New Mama! Or maybe: It happens to the best of us, is more fitting?! Whatever your circumstance is, whatever your reasoning or lack thereof for having a baby, WELCOME to the most miraculous, messy club on planet Earth: Motherhood. We are glad you're here! You might be surprised to hear of our welcoming and gladness, given the not-so-subtle glances of disgust you've witnessed between mamas at the mall, as one's child flails in a tantrum on the floor while the other's child walks calmly with perfect pigtails dangling down her back. Don't be fooled. Those stares and judgey glances don't mean we hate each other, and they certainly don't mean that Perfect Pigtail Mama has things more together than Tantrum Mama. That's a fallacy you will soon learn to see right through. The judging eyes usually mean we are having a bad day, and watching someone else having a worse day is the only thing we can seem to grab hold of in order to survive our own mess right now. 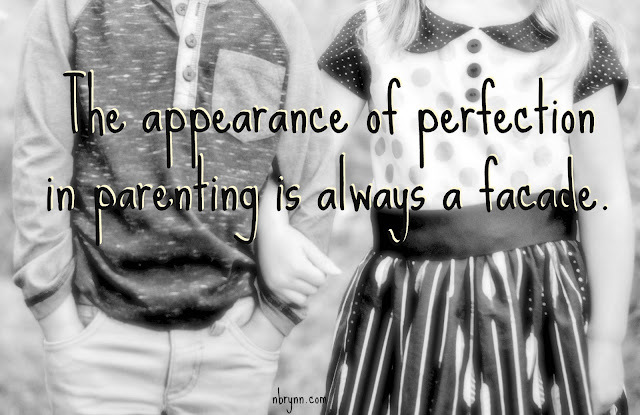 The appearance of perfection in parenting is always a facade. Which brings me to my first piece of advice, New Mama, and one of the only things I can say with total conviction: Erase the word should from your vocabulary right now. You will be so much saner and happier without that word, and so will your children. Other words to consider erasing immediately: hurry, hate, sleep. If someone suggests a book to you entitled, "12 Steps to a Happier Child" or "Five Ways to Guarantee Your Child Sleeps Through the Night" or "One Week Fail-Proof Potty Training," they are probably not someone you should be taking parenting advice from. Although there are many fabulous parenting books out there, any books whose titles claim guarantees and absolutes are not amongst them. The truth is, nobody knows the "The Way" when it comes to raising your child, because humans are so complex and every child is unique. And besides, you're the Mama and it's okay to trust your intuition. And that leads to my second piece of advice, which is this: Trust yourself. Trust your intuition. Trust that your body is powerful and can grow that baby, can birth that baby, can feed that baby everything it needs. Trust your heart when it says to hold that baby a little longer or to keep that little one at home or to offer a hug instead of a "Hurry up." And please, trust your gut when it says to ask for help. Because motherhood is a game of learning as you go, and everyone who is truly engaged in the game is constantly learning. Few of us have more than 50% of it together at any given moment - whether "it" is our disciplinary consistency, our educational philosophy, our patience and empathy, or simply our own personal hygiene. We are learning to extend endless grace to ourselves, and hopefully toward each other, every time we need to readjust our course, which can happen a hundred times a day. In the end, we are all just doing the best we can. The tricky thing is, being a mama is in the moments, good or bad. And everything can change in a moments notice with kids. Life can go from one blissful homemade organic lunch together, to a heap of food and tears on the floor, in the blink of an eye. Don't worry. You will mostly learn to savor the bliss and to ride in style with the chaos. Speaking of which, here's my next piece of advice: Try to savor the bliss. Maybe you'll need to keep a journal or snap a lot of photos or come up with your own creative version of Savoring. But do try to keep your head on straight enough that you see the bliss when it happens, and you pause even for a second to say, "Thanks." Every mama has good moments, and when the stars align and there's an extra allotment of pixie dust to go around, some of us get entire good days. Whether it's a rare moment of silence, a whole hour of argument-free play or an entire night's rest, give thanks. These moments of thanks will do wonders when the washing machine breaks or the diaper leaks or the kids refuse to cooperate. And remember this: Love them. Love yourself. Love life. 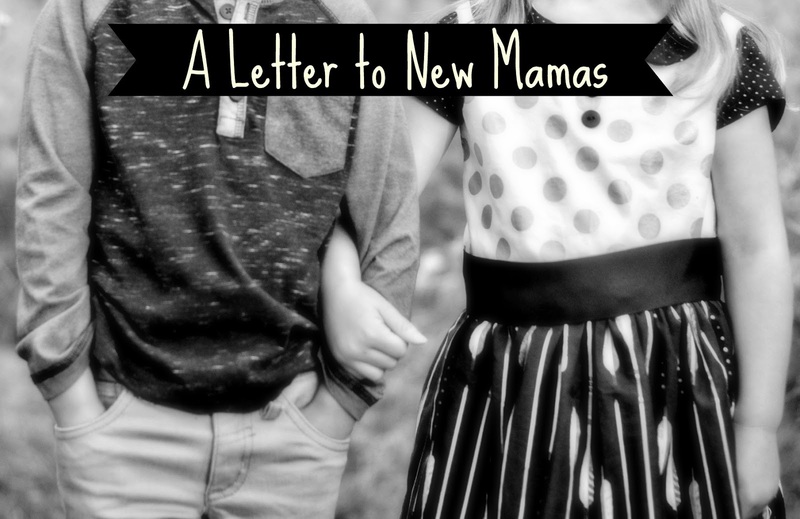 This the last thing I would offer you, New Mama: Don't get so caught up in doing things right, in checking off your lists, in filling all your parenting goals, that you forget to just love. Right here, in the good moments, in the bad moments, in their laughing and crying and arguing and sleeping. Love them, and you'll never go wrong.